In April of 2012, Facebook purchased Instagram for $1 billion. At the time, many people thought Facebook was significantly overpaying for a company that only had 13 full-time employees. But over the last 4.5 years, this acquisition has turned out to be one of the best in recent tech history. When Instagram was acquired, it had 30 million users. At the end of 2016, that figure has exploded to 500 million active users every month. That makes Instagram bigger than Twitter, Snapchat, Pinterest and LinkedIn. Even though those platforms are smaller, countless businesses have experienced firsthand just how powerful they can be for marketing. Send Social Media makes it easy to find and schedule posts to share on Instagram. When you log into your Dashboard, click the blue Compose button. 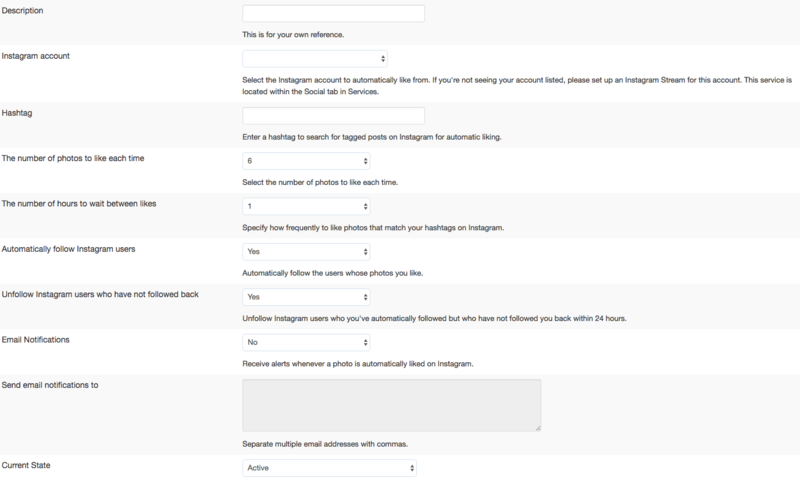 From there, select your Instagram account and then enter what you want to post. While you can Send Now, the real power of this tool comes from the ability to Schedule, Save or Send for Approval. Additionally, you can click Compose in Bulk and schedule as many posts as you want by loading a single CSV file. Although anyone who’s spent time on Instagram knows the value of monitoring specific hashtags, doing so manually can be a significant hassle. 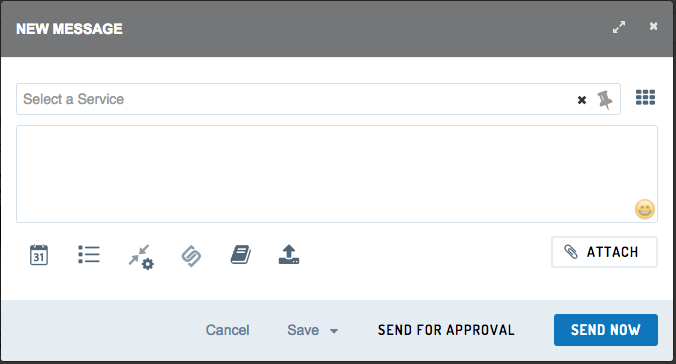 With Send Social Media, you can automate this process for any hashtag by clicking Add Services from the Services drop-down. Click the Instagram icon, then the blue Setup button next to Instagram Search. From there, simply enter the hashtag you want to monitor and the Send Social Media Dashboard will take care of the rest for you. According to research done by marketers, following other Instagram users results in a 14% follow back rate, while following and liking increases that rate to 22%. Since this is something that’s quite time-consuming to do manually, you’ll love how easy our Dashboard makes it to automate both activities. 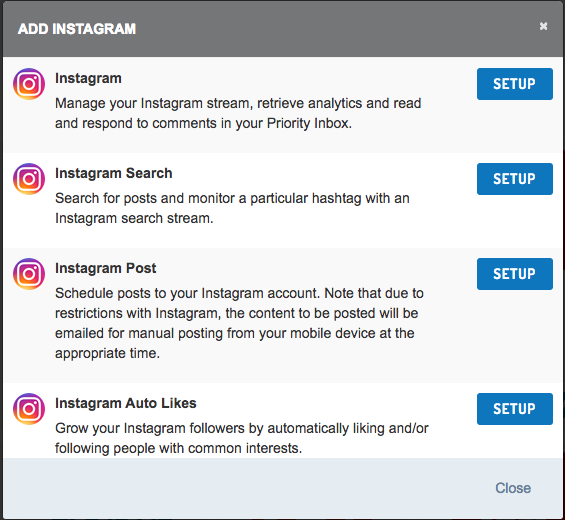 If you’re a current Send Social Media user, all you have to do is login and you can easily set up Instagram Automation. And if you’re not a user yet, we offer a free demo and trial. 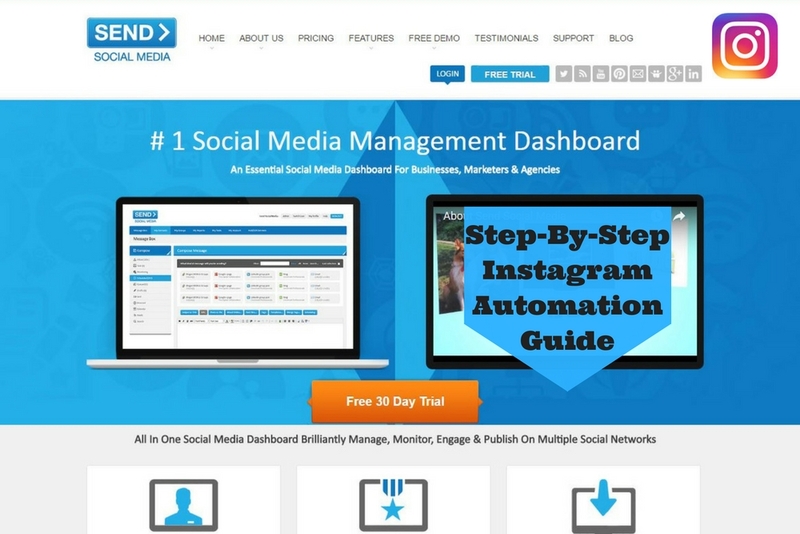 Filed Under: How To's, Instagram tagged under better than hootsuite, instagram, instagram automation, Social Media Management by Send Social Media. Bookmark the permalink.